Why Have an Alarm System? When it comes to protecting your property from the potentially devastating impact of crime or fire you can’t afford to take any chances. The correct choice of fire or security protection system and service provider is vital. Having a fire or security systems provider in whom you can trust will ensure peace of mind for you and demonstrate to your insurer that you have acted responsibly to protect your home or business. 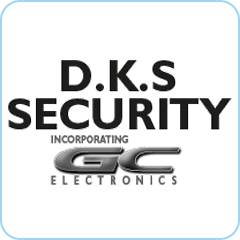 In 2009 GC Electronics was pleased to have taken over David Senior of DKS Security’s customer base and so now have now come together under the same umbrella. We wish David a long retirement and will keep his mantra of Price, Service and Reliability alive. This is why you will see both names on the alarm boxes and around this website and on the DKS Security website.